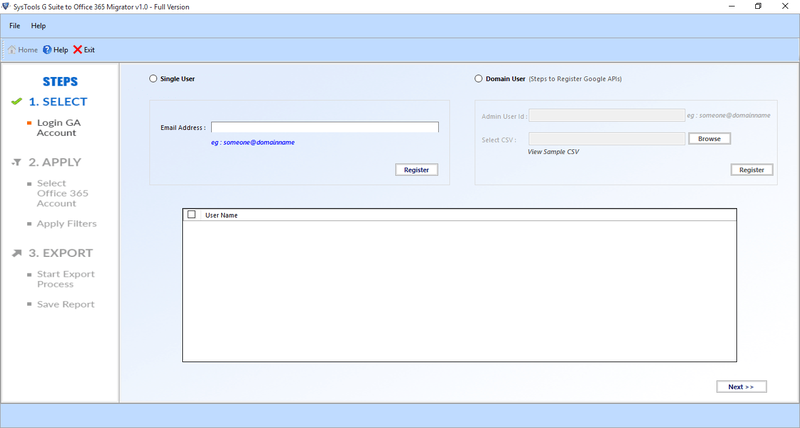 G suite to Office 365 migration tool offers an option to migrate multiple users of G Suite domains at once. If a user wants to migrate mailbox from google apps to office 365, then, the software has a feature to transfer the particular data also. This will help the users to apply filters to all items i.e. 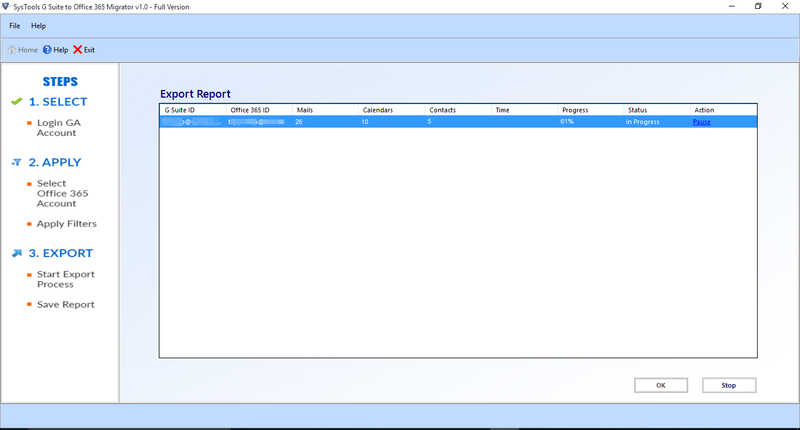 emails, contacts, calendars while migrating & exports the data of specific date range. Google Apps to Office 365 migration tool gives an option to transfer data to any existing folders of Office 365 account if only required. It enables to move all emails, contacts, and calendars of G Suite account to an existing folder of MS Office 365 account. If the users want to keep data of both accounts in multiple folders then, they can switch data into a new folder without checking this option. 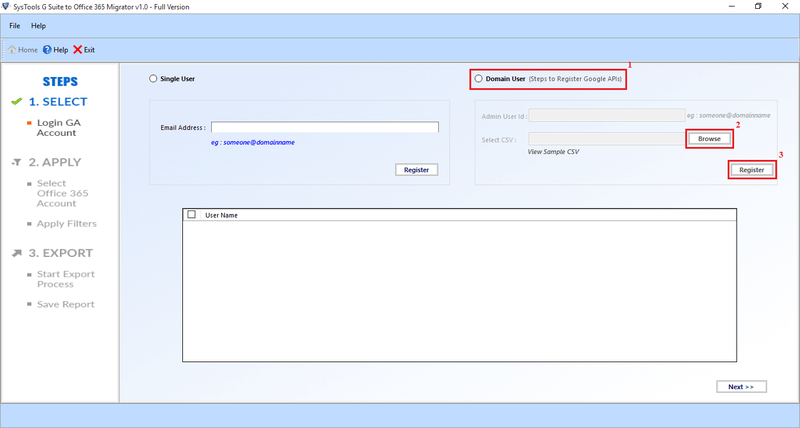 G suite to Office 365 migration tool provides a facility to pause the process flow in between if needed and the procedure can be resumed at any given time. Moreover, it will permit the users to export any size and number of emails to Office 365 account. This feature also helps the users in case if they want to transfer large size Google apps mailbox files to Office 365 account. Google Apps to Office 365 Migration Software permits a user to save one single file or multiple files from Google Mail account. This application enables to retain the hierarchy of G Suite account in a customized way. Also, it helps the user to save each mail, contacts, and calendars in user defined fields. Step 1: Firstly, Download the Tool and the Welcome Screen is shown. 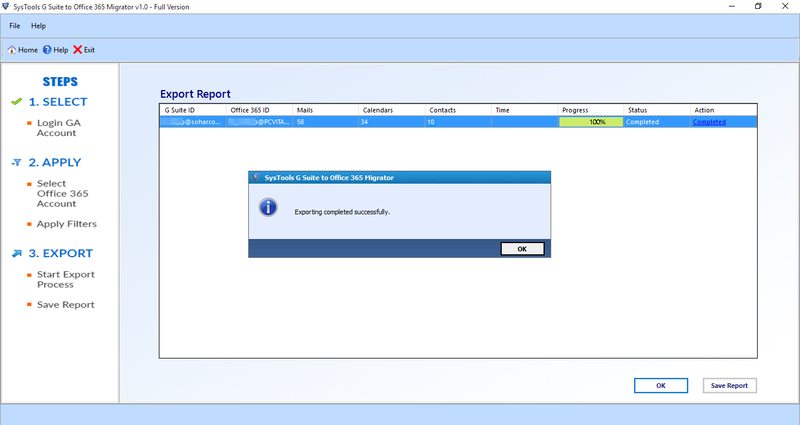 Step 3: Progress status of migration procedure is shown. In Trial Version of Google Apps to Office 365 Migration Tool user can export only 100 items of mail and 25 items of other category will be exported. Is the G Suite to Office 365 Migration Software helps to migrate calendars and contacts of Google Apps mailbox to Office 365 account? Yes, Of course, this software provides an option to export all the emails including contacts and calendars of G suite account to O365 profile efficiently. Is there any file size limitations imposed by software to export Google Mails to Office 365 profile? No, the application does not impose any restrictions in terms to import Google Apps to Office 365. The users can easily use this product for performing the data conversion process without any difficulty. In case my internet connection fails is there any way to resume the download of mailboxes? 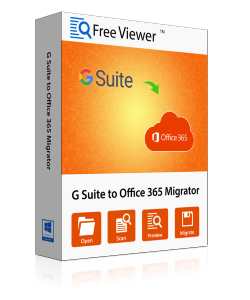 Yes, the G Suite to Office 365 Migration Software offers the users with an option of pause and resume, through which one can easily download the required files again. Does the Google Apps to Office 365 migration tool application provide users to select and download the files of a particular date range? Yes, via Apply date filters option, the users can easily download the mailbox data of a particular date range. I need to transfer calendars from G Suite to Office 365 only. Is it possible using your Google Apps to Office 365 Migration Software? 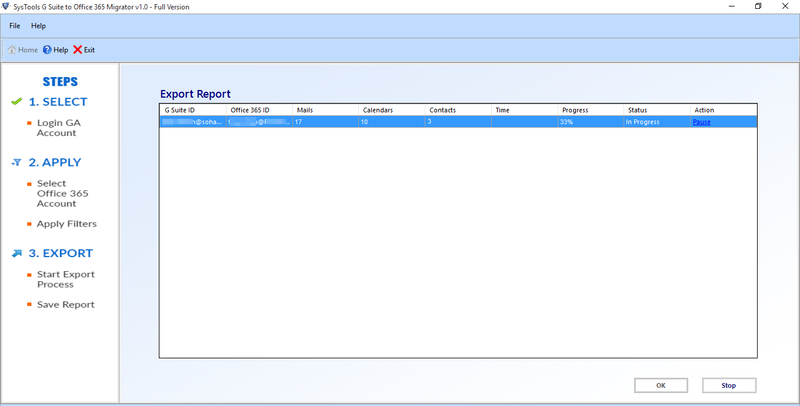 Yes, the tool allows the users to migrate Google Apps calendar to Office 365. Does the tool maintain the internal structure of files while performing G Suite to Office 365 Migration? Yes, the Google Apps to Office 365 migration software is robust enough that easily maintains the on-disk folder hierarchy. 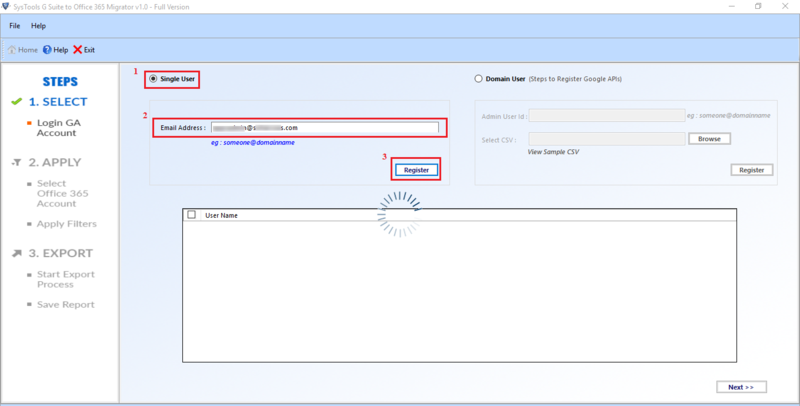 Does the software provide the domain facility to perform the conversion process? Yes, through G suite to Office 365 migration tool users have domain facility to migrate different users of Google account at a time. “I wanted to export my all contacts from G Suite to Office 365. I had no idea to perform it. This thing created me curious and I kept on surfing the web. One day, I came across this Google Apps to Office 365 Migration tool. The software helped me in resolving my problems. So that I can easily trust on this utility that fulfills the data conversion from G Suite to O365 in an efficient manner. Thanks a ton!!"